Despite being roundly cited as much harder to perform than its dramatic counterpart, comic acting is traditionally seen as a performance genre that can’t be taught. At best it is often described as a skill that can only be learned "on the job" through years of practice, or given to a performer through natural talent. how physical movements can generate comic moments and build character. This book is an invaluable resource for any performer focusing on the minute details of comic acting, even down to exactly how one delivers a joke on stage. Christopher Olsen’s unique collection of comic voices will prove essential reading for students and professionals alike. 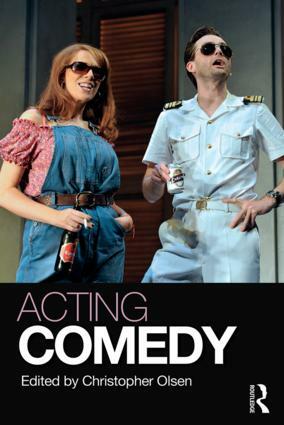 "Highly recommended - a healthy smorgasbord of essays on ways to approach the challenges of comedic acting. The contributors are thoroughly seasoned practitioners and instructors, with comic experiences ranging from stand-up comedy, writing, juggling and street performance to traditional acting. This interesting collection will be valuable for the classroom and for individual actors." Christopher Olsen began as an actor in the Off-Off Broadway theatre scene in New York City in the 1970s and 1980s and later received his PhD in Theatre History and Criticism from the University of Maryland. He continues to work as a Drama professor at the University of Puerto Rico.